I lay in your room every morning. I travel with you every day. I echo beside you every night. What am I? 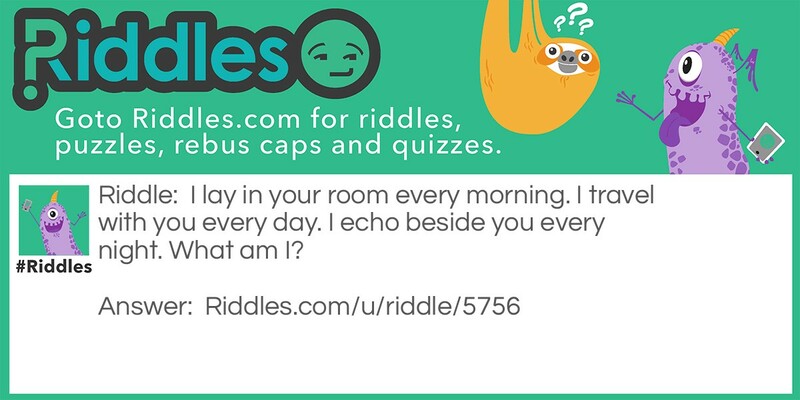 The companion Riddle Meme with riddle and answer page link.